Product prices and availability are accurate as of 2019-04-14 03:31:38 BST and are subject to change. Any price and availability information displayed on http://www.amazon.com/ at the time of purchase will apply to the purchase of this product. This is a fascinating story of a woman who is today changing the lives of hundreds of people with learning disabilities. She argues for, and is continuing to build up an impressive body of evidence that many learning difficulties can be "fixed" rather than "compensated for". Throughout the early part of her life she suffered from a severe learning difficulty herself and through much hard work and some luck managed to apply the principle (widely accepted in science) of nueroplasticity, to herself and fixed her own learning difficulty. This is still highly controversial in the educational field as it is still catching up with the latest research, but is a Godsend for all those couples really wanting the best for their kids, and have found no viable option until now. A bestseller in Canada and Australia, this is the incredible story of a woman who struggled with severe learning disabilities, built herself a better brain, and started a program that has helped thousands of others do the same. Barbara Arrowsmith-Young was born with severe learning disabilities. As a child, she read and wrote everything backward, struggled to comprehend language, and was continually getting lost. But by relying on her formidable memory, she made her way to graduate school, where she chanced upon research that inspired her to invent cognitive exercises to “fix” her own brain. 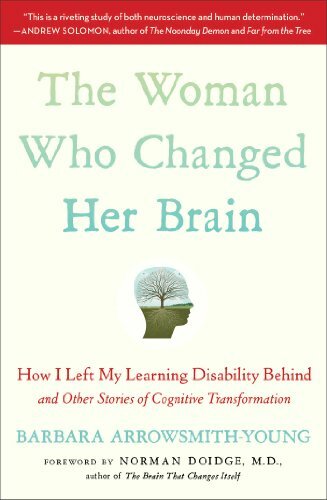 The Woman Who Changed Her Brain interweaves her personal tale with riveting case histories from more than thirty years of her work with both children and adults. People with learning disorders have long been told that such difficulties are a lifelong condition. 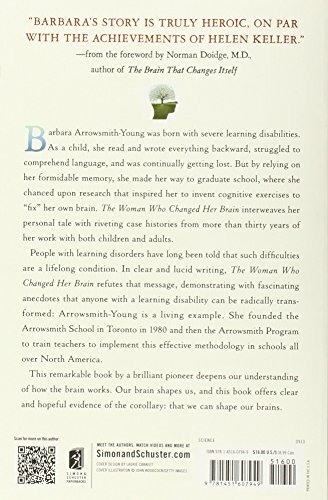 In clear and lucid writing, The Woman Who Changed Her Brain refutes that message, demonstrating with fascinating anecdotes that anyone with a learning disability can be radically trans­formed: Arrowsmith-Young is a living example. She founded the Arrowsmith School in Toronto in 1980 and then the Arrowsmith Program to train teachers to implement this effective methodology in schools all over North America. This remarkable book by a brilliant pioneer deepens our understanding of how the brain works. 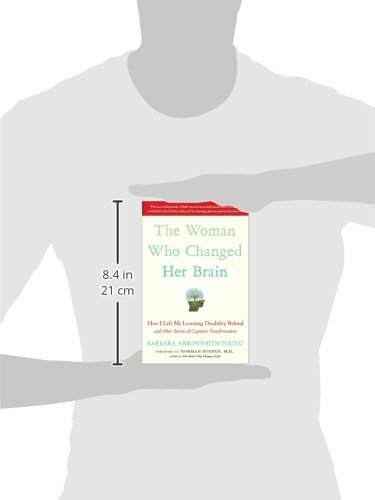 Our brain shapes us, and this book offers clear and hopeful evidence of the corollary: that we can shape our brains. * Changing your brain to overcome learining difficulties. Essori is a participant in the Amazon Services LLC Associates Program, an affiliate advertising program designed to provide a means for sites to earn advertising fees by advertising and linking to Amazon.com, Endless.com, MYHABIT.com, SmallParts.com, or AmazonWireless.com. Amazon, the Amazon logo, AmazonSupply, and the AmazonSupply logo are trademarks of Amazon.com, Inc. or its affiliates.